I'd like to share with you what a nice surprise I recently had. I won $25 bucks from Giveaway Promote's Amazon Gift Card Giveaway. 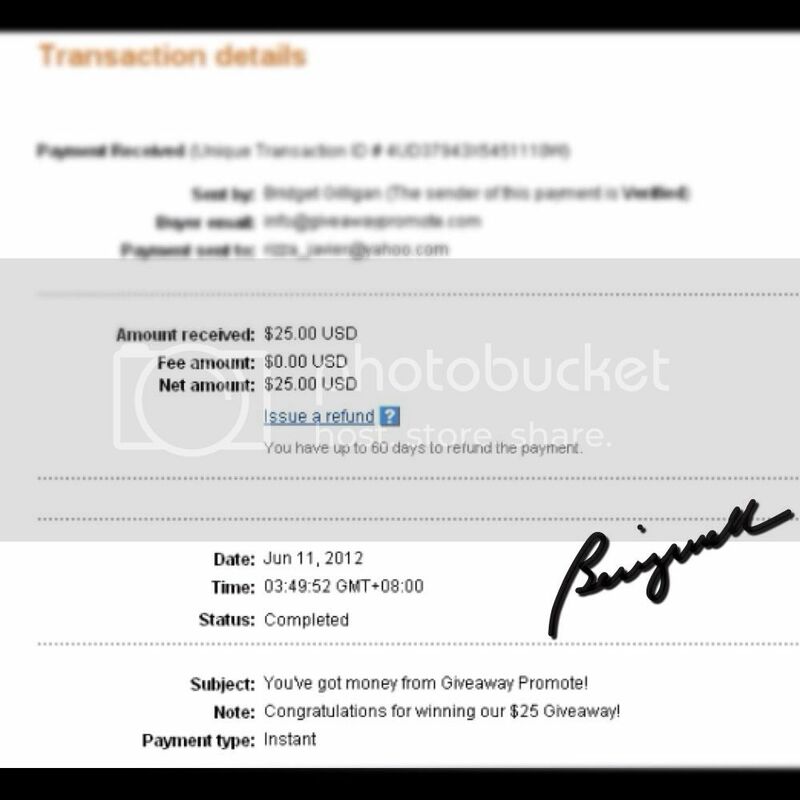 Since I'm from Thailand, the site owner (Bridget) generously transferred the prize cash to my Paypal account instead. Cool isn't it? I wasn't even expecting to win. Lucky mee!! If you'd like to win amazing prizes too, you may want to join these 2 big events that I'm promoting. I'm proudly part of a Father's Day Giveaway ($180 cash prize) and Summer Splash Giveaway ($400). Anyone can join. All you have to do is log in your entries in the rafflecopters on each post. The more entries you make, the more chances of winning. Good luck!! I hope you win! Huwow!,! Ikaw na sis! Congratumaleysyons! I once won a giveaway too. Coupon sa itunes but sad coz i was not able to use it. Sayang talaga. I should have just converted it to cash. Huhu. Congrats again! I have new and regular Free giveaway opps that I discovered. Want to join? Just message me! congrats! i love entering giveaways too but i have no luck in cash giveaway.